Baby Bear is back in this cozy, seek-and-find companion to the celebrated Baby Bear Sees Blue and Baby Bear Counts One. When Mama and Baby Bear go out to look for food one night, curious Baby Bear wants to wander and explore. Each time his Mama Bear calls for him, Baby Bear turns up in a different place. Where, oh where, could Baby Bear be? Mama and Baby Bear are back, enjoying a summer evening of foraging enlivened by an enthusiastic game of hide-and-seek....Wolff hides Baby Bear in plain sight for children to spy. Each time he reveals himself, the cub identifies both an element of his woodland habitat and an English preposition to learn about....Wolff fully masters her media—linoleum prints luminously enhanced with watercolor. Children will pore over these pages, identifying creatures of woodland and meadow. Twilit enchantment. When night falls, the sweet and curious black bear cub and his mother go looking for food. Mama hunts and Baby Bear explores. “‘Where, oh where, is Baby Bear?’ calls Mama.” Readers won’t worry, because Wolff has hidden Baby Bear in the spread for them to find. “Here I am, Mama,” he replies each time. The sky subtly darkens as they make their way through their world, each page featuring creatures that share the habitat with the bear family: the placid owl, a faun, raccoons, and otters. Here too are the mushrooms, ferns, and cattails of a woodland life, providing young viewers with a window into nature. The scope of their adventure is recalled at the end of the story, as Wolff shows the pair making their way back through the meadow, around the pond, across the river, between the birch trees, down the cliff, and into their den. 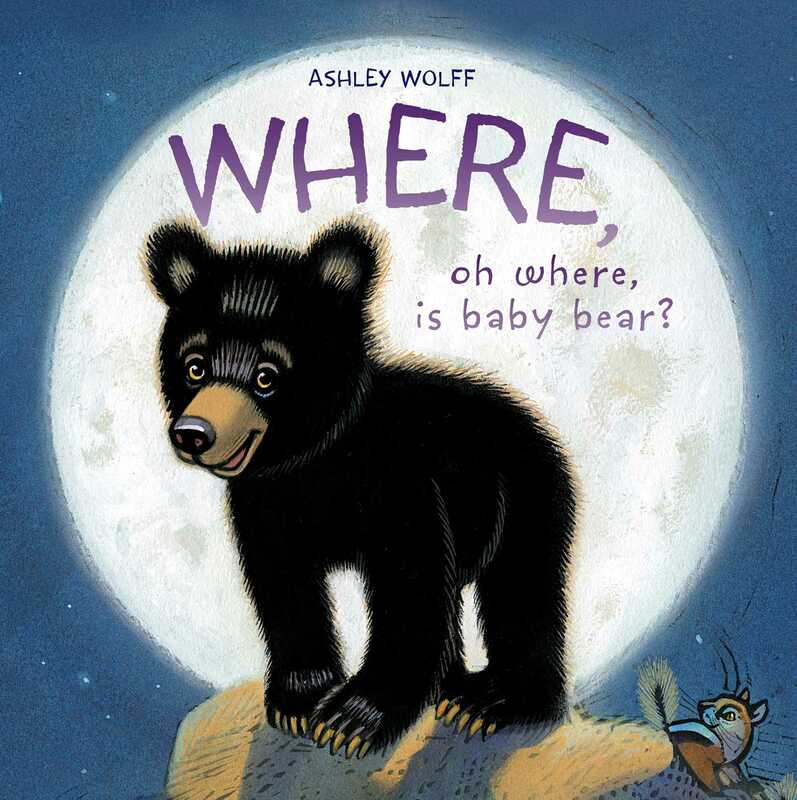 The ending is predictable but comforting—Baby Bear asking, “Where, oh where, is Mama Bear” and her retort “Here I am, right beside you.” Wolff uses linoleum block images printed on paper in black, which she then hand-watercolors. The juxtaposition of hard black printed lines with the subtle colors of nature at night are a perfect match to the narrative. 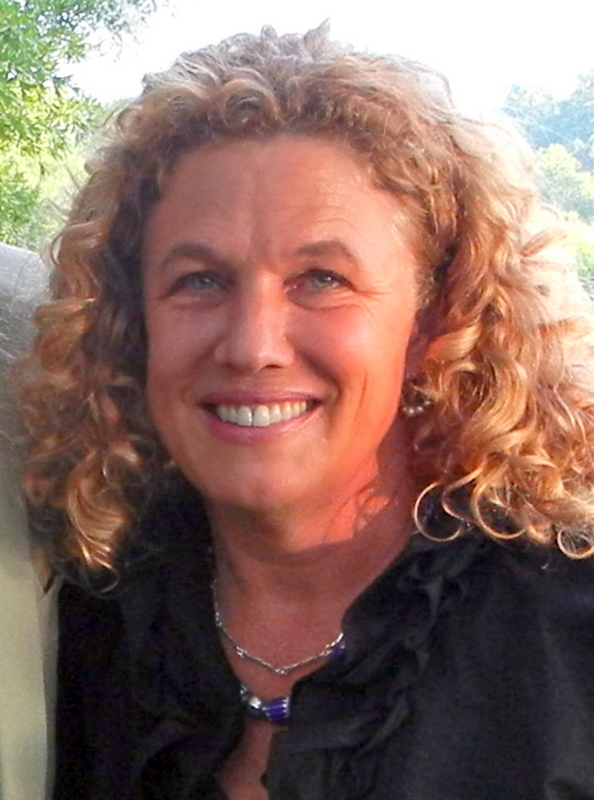 The act of reading the book with an adult mirrors its theme—the balance of independence and nurture. This iteration of Baby Bear’s adventures will find success as a lap-sit or story time at home or in a library. VERDICT This title is a winner—vivid illustrations, a narrative that begs for call and response, elements of seek-and-find, and an introduction to woodland nature. A must-have for all collections. In this third picture book featuring the little black bear cub (Baby Bear Sees Blue, rev. 3/12; Baby Bear Counts One, rev. 9/13), Baby Bear and his mama take an evening walk through the meadow and the woods, ostensibly to gather food—but Baby Bear turns it into a game of hide-and-seek. Every time Mama Bear turns around, Baby Bear is nowhere in sight. But in response to Mama’s call—“Where, oh where, is Baby Bear?”—Baby Bear always answers; and his answers always include a preposition. He is inside a log, or behind a waterfall, or between cattails, or on top of a boulder. After the night’s adventures, the pair heads back home. A playful and loving circular ending finds Baby Bear momentarily unable to find his mother, and now it’s his turn to ask, “Where, oh where, is Mama Bear?” Because this is a picture book for the very young, Wolff doesn’t leave readers in suspense: Mama is right behind Baby Bear, and she immediately assures him of her presence with words and a warm embrace. This installment contains all the hallmarks of the series: Baby Bear’s inquisitive nature; the closeness between mother and cub; the exploratory adventure; the repetition in the language and the plot; the evocative hand-colored linoleum block prints. As always, Wolff’s illustrations enticingly depict the natural world while keeping the focus on Baby Bear and his experiences. A quiet and satisfying bedtime/concept book. Book Cover Image (jpg): Where, Oh Where, Is Baby Bear?